According to many market researchers, millennials are adopting pets at a faster rate than other generations, including Baby Boomers. 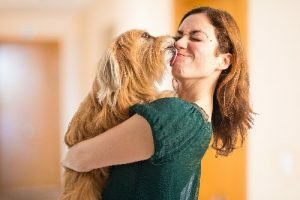 This rising trend in pet ownership by young people is the result of many factors, especially the trend of millennials waiting longer than previous generations to have children. Millennials are adopting pets to satisfy their parental inclinations with less responsibility by adopting dogs and cats instead. Many young people add a furry friend to their household to train for when they have children. In an area that is one of the most popular places for millennials to move to in recent years, Hustlin Hounds and other dog-walking services in the Fort Collins area have seen many more Millennials than ever request their services in recent years. Spring and summer 2016 will yet again be a big year for local dog walking services in Fort Collins. With the weather warming up and dogs getting more anxious to get outside, career-mined pet owners may need some additional assistance in getting their dogs more exercise. Don’t feel bad for leaving your babies inside when you’re too busy to take them out more in the warming weather, hire Hustlin Hounds to take care of your dog’s exercise needs for you instead. In ever-increasing numbers, millennials are thinking of their dogs as their children. They pamper them, travel with them, and look for products that are all-natural and devoid of harmful chemicals like BPA if at all possible. Hustlin Hounds knows the daily struggles of caring for a pet. They feel like family and, much like a child, you never want any harm to come to them in any form. Hustlin Hounds provides a much-needed service to the dog lovers of Fort Collins so that they can rest easy knowing that their furry friend is well cared for. Hustlin Hounds also provides pet daycare, a service that is gaining in popularity for dog owners throughout the area. Doggy daycare allows your pet to be social with other dogs and get the exercise he needs while you’re at work or on vacation. Hustlin Hounds also has overnight pet and house sitting specialists who can take care of your baby while you’re away or at work during the day. No matter how much exercise your dog needs, Hustlin Hounds can take care of his needs so that you can rest assured your furry family member is well cared for. Take some of the stress out of your life in handling your daily duties for your dog. Let Hustlin Hounds’ expert dog walkers take him out for a trot or a run instead. The bottom line is that dogs, much like children, get energized for spring and summer. 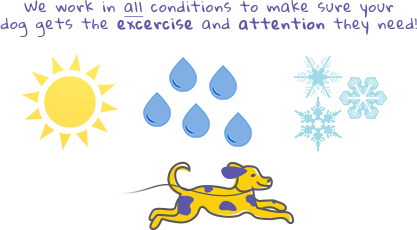 With warmer weather already upon us in northern Colorado, Hustlin Hounds is happy to help your dog get the exercise he needs as the warm days wear on. Make sure that if you can’t take Fido with you on your next vacation to ask about Hustlin Hounds’ pet daycare services as well.